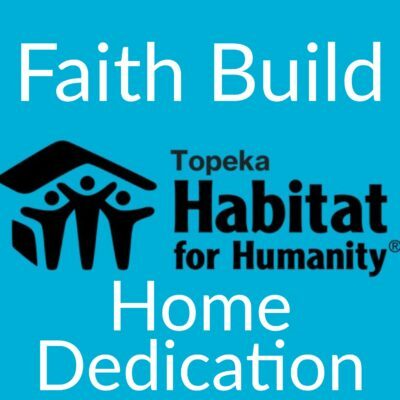 Join us as we dedicate and bless the 105th Topeka Habitat home for the McKinley-Rose Family. This home was built in partnership with many faith groups and many dedicated volunteers. There will be a short program followed by refreshments and tours. Help us welcome Sayla, Ethan and Emmy to their forever home!